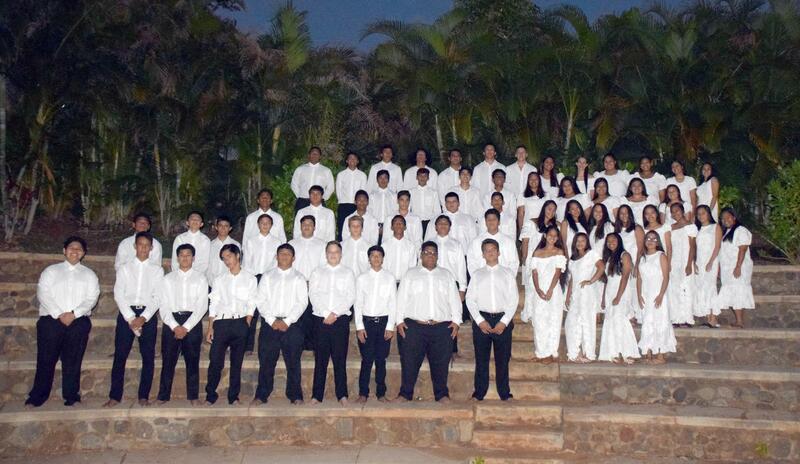 The Lahainaluna High School Boarding Program is for young men and women in grades 9-12. The program can best serve the student who is highly independent, reliable, responsible and motivated. "It is a privilege to be a Boarder." Our community living program centers around the development of a sense of unity, a sense of involvement, shared and individual responsibility, mutual interdependence and help, coupled with love, loyalty and comradeship. It also includes living by the rules of conduct within a group environment. It incorporates the method of first year boarders learning from the older boarders. At the same time, the older boarders look after the welfare of the first year boarders in all aspects of their community living experience. Promote student achievement by creating desirable work habits, wellness, self-sufficiency, self­ discipline and an understanding and acceptance of responsibility in each boarder. Create an environment that will expand each boarder’s life experience academically, vocationally, socially and culturally. Build leadership and resiliency skills. Letters regarding interview sessions will then be mailed to applicants. After interviews, notices of applicant's status will be mailed no later than May 31st. LATE APPLICATIONS are accepted and will be considered if vacancies become available during the first semester of the school year. COST: There is no cost for boarding except for the normal school fees (student government, class dues, M.I.L. athletic pass, graduation packet (seniors only) and optional purchases for the school newspaper, yearbook, and PTSA dues). All boarders are assessed a non-refundable Boarders Association fee of approximately $35.00. This is a work-study program funded by the State. A refundable deposit of $150.00 is required for medication needs and restitution for any property damages. This deposit will be kept in a special account and must be kept up to date on a regular basis. MEDICAL INSURANCE AND PHYSICAL EXAMINATION: Upon acceptance, all boarders are required to have medical insurance. Upon acceptance, a current Physical Examination will be required, including a current TB Skin Test. The physical examination and medical insurance are mandatory for all boarders and must be completed before checking in to the dorms at the beginning of each school year. WORK RESPONSIBILITIES: Boarders are expected to work in yard maintenance, utility crew, garden, kitchen, and the dorms. This mandatory work experience helps to offset the costs of a boarder's room and board. Any student who cannot work in any of these areas listed above due to allergies or other reasons should not apply for the program. The Boarding Department reserves the right to release a boarder with serious health problems or allergies that prevent him or her from performing normal work duties. HOUSING AND MEALS: Boarders are housed in two dormitories, one for males and one for females. Each dorm room sleeps two and provides a twin bed, desk, dresser drawers and a closet for each boarder. Bathroom and community shower facilities are located on each floor. Each dorm has a common lounge area. Each dorm also has a microwave, refrigerator and coin-operated washers and dryers. Meals are provided through the cafeteria. School breakfast, school lunch and dinner are provided on school days, while brunch and dinner are offered on weekends and holidays. Students provide their own snacks; cooking is not permitted in dorm rooms. DRESS CODE: Boarders are expected to set the tone of dress for the school. Boarders will be neatly dressed in school, at school functions as well as when they are allowed to go out to town on weekends. Shoes are to be worn at all times. A detailed description of the boarders' dress code can be found in the Boarders' Handbook. SAFETY AND SECURITY: All boarders are expected to lock their rooms at all times and to be responsible for their own room keys. There is a fee for lost dorm room key. DISCIPLINE AND EXPULSION: The Boarding Department establishes its own guidelines in handling discipline cases. A list of offenses and consequences, as outlined in the Boarders' Handbook, will be reviewed with all Boarders. SPONSORS: Each boarder is required to have two Maui Sponsor(s). Sponsors must be full time Maui residents who will be responsible for the borader at any time the boarder needs to leave the school (due to illness, suspension, etc), spend weekends, vacations, provide transportation, or other issues that require adult supervision. OVERNIGHTERS, WEEKEND AND VACATION PASSES: There are two types of weekend passes that boarders earn. The weekend pass allows boarders to leave on Friday after work and return Sunday by curfew. The overnighter pass allows the boarder to leave on Saturday after work and return on Sunday by curfew. Both types of passes may be denied at anytime, therefore, boarders must be in good standings at all times. The dorms are closed during fall break, Thanksgiving break, Christmas vacation, spring break and summers. Those boarders involved in athletics and have scheduled games during these break periods must make their own housing arrangements off-campus. MINIMUM SUPERVISION: This program functions under minimum supervision and that supervision is limited during a boarder's free time, especially when off campus on weekends. The boarder must be self­ disciplined, self-reliant and responsible. CO-CURRICULAR ACTIVITIES AND ATHLETICS: Boarders are encouraged to participate in any of the campus organizations and athletic programs. Athletic practices occur after work. 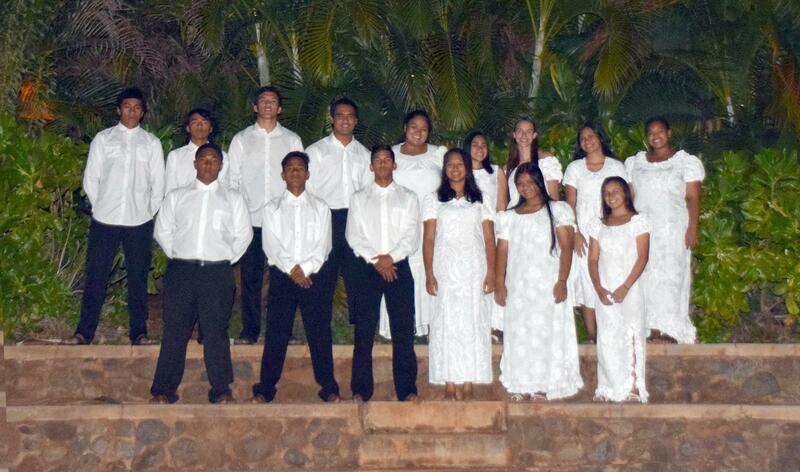 The Hawaiiana Club is available to all boarders on a school week night and the Boarders' Chorus is a mandatory activity for all boarders. GOOD STANDING: Boarders in good standing are those that do well academically, have no discipline problems (overtime hours, on probation status, etc). QUESTIONS: Should you have any questions, please contact us at (808) 662-4000.